I am so excited about today’s books. I am completely enamored by them. Without further ado, here are the children’s books we are loving right now. Where has The Maggie B. book been all my life? Published in 1975, it is a beautiful classic about a little girl named Margaret Barnstable who makes a whimsical wish to sail on a boat for a day. The wish comes true and the result is the coziest book ever. The illustrations are soul drenching. Am I gushing too much? 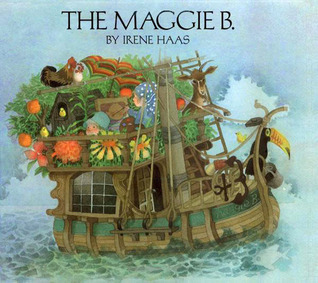 I love this book because Maggie’s day on The Maggie B. is exactly the kind of imaginary play I loved when I was a little girl, right down to the baby on board. Seriously, this is my favorite book I’ve come across in years. I have just discovered author/illustrator Irene Haas and I can totally see myself cleaning the library shelf of all her books the next time I’m there. When it comes to The Maggie B., though, forget the library. I don’t buy books very often, but I will be buying this one. 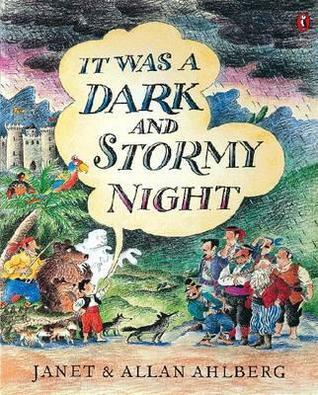 Following the sea theme, we also discovered It Was A Dark and Stormy Night. This one’s about a band of brigands and a boy they capture whose job is to tell them a satisfactory story. Lighthearted enough for young children, we all enjoyed the adventures the boy makes up for the brigands in the dark cave they are camping out in. My only complaint with this book is that it really is a bit wordy. It’s much too long to be a bedtime story, but for the sick days at home we’ve been having lately, it’s perfect. Also, the book is set in Italy so it’s a lot of fun to say all the names. My 4-year-old boy has sat around looking at the pictures quite a bit lately, too. Our chapter book of the month doesn’t have to do with the sea, but it is about Sweden, which is across an ocean from us…it’s a stretch, but it’s an awesome book. 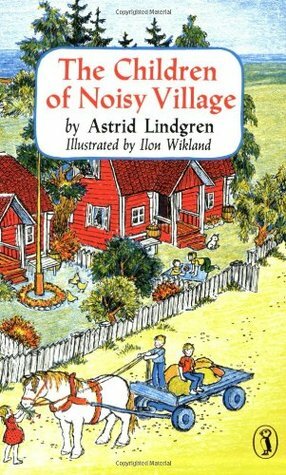 We’ve been reading The Children of Noisy Village, by Astrid Lindgren (famous for writing Pippi Longstocking). Called The Little House on the Prairie of Sweden, it is a short memoir-style book, and gives glimpses of what life was like for a little farm girl named Lisa in Sweden at the turn of the 20th century. She and her brothers and neighbors are brimming with personality but sweet to the core–a hard balance to find in children’s books. Their adventures make me long to own an old farmhouse and make ginger bread cookies. What’s great about this book is there is at least one illustration in every chapter, and the chapters are only four or five pages long. It’s a great read-aloud for 4-7 year olds. There is a sequel but my library doesn’t have it, so it looks like I might be buying two books this week. Also, an honorable mention to the board book of the week, Spot Goes to the Park. Violet loves it to pieces. I’m currently trying to settle on our next chapter book read-aloud. Any suggestions? Let me know in the comments! Astrid LindgrenIrene HaasIt was a dark and stormy nightJanet AhlbergThe Children of Noisy VillageThe Maggie B.